We are delighted to announce The 2012 Curating.info Fellow: Emma Brasó. Following a call for submissions last autumn, applicants to the inaugural Curating.info Fellowship submitted statements on urgent issues facing curators today. Selection was made on the basis of this statement as well as their demonstrated fresh thinking for what the role of the curator could be today. Applications were judged by Francis McKee, Director of CCA Glasgow; Sally Tallant, Artistic Director and CEO, Liverpool Biennial; and Michelle Kasprzak, Founder and Editor-in-Chief of Curating.info. 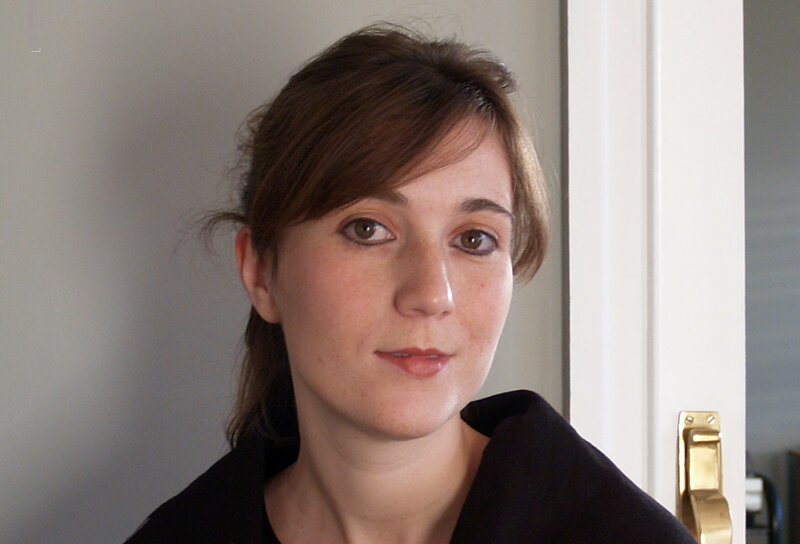 Emma Brasó (Madrid, 1983) holds a BA in History and Theory of Art from Autonomous University of Madrid, and an MA in Modern Art: Curatorial Studies from Columbia University (New York). During the last ten years, Emma has worked in the art world in a variety of positions. In 2004/05 she was Assistant to the Co-Director of the 51st Venice Biennal. From 2008 to 2010, she held the position of Advisor at the Fine Arts Department of the Spanish Ministry of Culture, in charge of the coordination of the Departments’ contemporary art activities and initiatives. In the meantime, Emma has also carried out an independent career as critic for both Spanish national and international media, and as curator of several concept-oriented exhibitions for a variety of not-for-profits, Festivals and Foundations in the US and Spain. In 2010, she was selected to participate in the Gwangju Biennale International Curator Course. Currently, she is correspondent in Madrid for Flash Art International and will be curating a cycle of three exhibitions on art and empathy for the Youth Art Space of the city in 2012. As an emerging curator who has had the opportunity to organise exhibitions in both public and private institutions, the question I am always asking myself is whether the work I am doing is meaningful beyond the art world. If we agree that contemporary art can help to improve people’s living conditions then, as curators, we must accept the challenge of proving this. When conceiving and developing an art show or other type of project, we should seriously consider how our work contributes to maintain the influential position of art and artists in society without compromising the theoretical and aesthetic relevance of the message. In my opinion, this is the most pressing issue facing working curators today. In times of crisis like the ones we are going through, art and culture run the risk of being relegated to a subsidiary role when they should, quite the contrary, become central elements in the necessary negotiation to overcome the situation. If curators, who have given themselves the mission of guarding the validity of art, are not able to demonstrate its indispensability in moments like this, we should not be surprised to see how contemporary art keeps suffering cuts in funding and public interest in favour of other more immediately productive areas. It is not a matter of indicating how the cultural industries are an important economic sector that creates jobs and therefore shouldn’t be underrated, but to demonstrate that the ideas of living artists can be instrumental in the generation of a new set of values. A crisis is necessarily followed by a period of change, and it is our obligation to make sure art plays an essential part in that transition. To do so, curators must assume the position of mediators between the artist and the public. If we want art and culture to count, we can’t reject the challenge of engaging new audiences, and of combating the public’s disinterest, boredom, incomprehension, or even anger. At the same time, we must be continually asking ourselves how to keep our loyalty to the artist’s purpose or to the work’s own intentionality without scaring the uninitiated away. Plus, curators should avoid treating contemporary art exhibitions as spectacles while they deal with making the information included in an art piece interesting to the public. The curator’s position between the interests of the artist and those of the general public is a delicate one that should never be overlooked in the process of exhibition-making. However, at times I have felt that curators avoid this topic or leave it in the hands of the education departments. Somehow, and despite the educational turn in curating, it is as if talking about their responsibility towards untrained audiences is unworthy of their expertise. Of course, contemporary art is a very sophisticated area of knowledge and one that needs continuous up-to-date and intellectual effort on the side of the experts. In spite of that, I will insist that to make art count in the broader picture curators must confront the challenge of making their work purposeful outside as well as within the professional sector. In times of crisis and change, when old values seem to be in need of replacement, curators must find the way to make each and every one of their projects an important piece in the reset of the societal puzzle.